Love Inspiration offers all of its healing courses, attunements and channeled teachings freely and with love and we are able to do this because of the grace, love and generosity of our sponsors. We are truly humbled as well as deeply grateful for any sponsorships that are received in helping us to continue sharing these free healing courses and energies with much love. 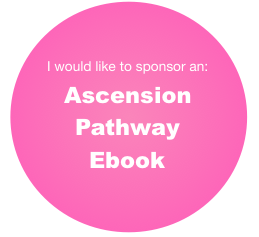 ​For some people, we understand that certain ebooks may feel 'closer' than others and therefore, we have set up our sponsorship page in such a way that allows each sponsor to choose which ebook category they are interested in supporting. We thank you for visiting our sponsorships page and for your loving kindness, generosity and support. Love Inspiration is delighted to share many different kinds of Reiki Healing with the world freely and with love in the hope that we can help to raise the love vibration of this planet (and beyond). On our website we are honoured to share the full teachings of Usui Reiki, Kundalini Reiki, Universal Reiki and Divine Light, as well as a number of Master Level Symbol and we invite you to share in this wonderfully warm feeling by sponsoring one of our Reiki ebooks. Our Divine Cleanses are a truly wonderful series of energies, teachings and attunements that help to promote the idea of regular cleansing, healing and purification. These energies can be received over a very short period of time and are therefore often a great first step for those stepping into the world of energy based healing.